﻿ 10 Bacoor Cavite House & Lot by Camella For Sale. 10 Bacoor Cavite House & Lot by Camella For Sale. Bacoor is strategically located at the gateway to Metro Manila. A sub-urban area, the city is located approximately 15 kilometers southwest of Manila, on the southeastern shore of Manila Bay, at the northwest portion of the province with an area of 52.4 square kilometers. It is bordered to the east by Las Piñas and Muntinlupa, to the south by Dasmariñas, to the west by Kawit and Imus, and to the north by Bacoor Bay an inlet of Manila Bay. Bacoor's is separated from Las Piñas by the Zapote River and from Imus and Kawit by Bacoor River. Most of the city is composed of flat, formerly agricultural lands, with some areas such as the coastal barangays of Zapote, Talaba, Niog, and Panapaan lying below sea level. Some barangays such as Molino and Queens Row are situated on the hills that form valleys along the upstream portion of Zapote River. Bacoor is currently experiencing a rapid shift from an agriculture-based economy to a residential/commercial urban center. Nowadays, retail, manufacturing, banking and service sectors are Bacoor's primary income earners. Commercial activities are sporadic throughout the city ranging from wholesale to retail establishments, restaurants and eateries, hardware and construction supplies and other service-related industries, especially those located in SM City Bacoor where it serves as the city's main income earner. The mostly residential area of Molino is also home to SM Center Molino at the corner of Molino Road and Daang Hari. The entrance area from the Coastal Road to Aguinaldo Highway in Talaba and the area surrounding the Zapote Public Market (now the Bacoor Public Market) are other commercial centers. Bacoor has branches of 11 different commercial banks all over the city. Alea residences stand as one of the pride of DMCI Homes, a prominent residential developer in the Philippines. The Village is an invigorating mix of exceptional amenities and facilities coupled with a combination orchestrates flavors of Asian tradition and tropical accents that make the home perfect for all sort of people. The Alea residence is a perfect place to get the mix of both works and play in the comfort of your environment. The residence has four buildings namely Budi, Surya, Darma, and Raja, each of the residents have six to seven stories, and the resident altogether is a perfect place for both young and growing families as well as an accomplished individual. The development is very exclusive and private with a close distance to all the important places.The ground floor of the residence is very spacious with a garden scenery decoration with lush greenery; also the place where the indoor amenities are set. The residences feature an expansive lounge, fitness gym, game area, and so on. The Alea residence is located in Las Pinas Taliban Diversion Road, Brgy. Zapote 3, Bacoor, Cavite, CALARBARZON, A place filled with different commercial and business hubs. It has prestigious schools like St. Joseph Academy & Southville International Schools, Medical institutions like the Las Pinas Doctors Hospitals and Dominic Medical Center, and other notable locations like St. Joseph Parish as its landmark. The development offers a two bedroom and three bedroom units at the last price of P 3,236,000 and P 5,128,000 respectively. The open parking and covered are also available individually at P 500,000 and P 555,000. Amaris Homes is a 14.9-hectare residential development located at Barangay Monilo 4, Bacoor, Cavite. The resident is strategically located at the gateway to the Metro Manila. Bacoor also serves a tourism center that is within reach of the inhabitants of the Metro Manila and Extends to all of the Philippines. It has many centers of attractions starting from its numerous shopping malls to its cultural and historical background, local cuisines, restaurants, resorts and many other places of interest. Some of the various locations of interest in the area include Bacoor Ecopark, St. Ezekiel Moreno Park (Prinz Dam), Battle of Zapote Bridge site, and Bahay Tisa (Cuenca Ancestral House). One of the Philippines develop the residence trusted the developer, My Citihomes. It has several educational institutions, medicals hospitals, and different prestigious establishments as its landmark; they include the Bacoor Doctors Medical Center and Bacoor District Hospital among others. Amaris Homes is a very private and secure place; it is an ideal location for residents who cherish their security and privacy. The residence offers a house and lot with a lot of open spaces. The development is perfect for residents working in Muntinlupa Village because of its proximity to Daang Hari Road; this gives you more times for yourself and your family. The Amaris Homes offer a two story residence with two bedrooms, a toilet, and a laundry area. The area is just away from Manila through the Cavite Coastal Road via Molino Boulevard in Bacoor. The lot area of the building measures up to 72 square meters, and its price starts from PHP 1.27 million. Bellefort Estates is an important and private development by Profriends real estate developer. It offers a relaxing lifestyle with its serene environment and impressive amenities. The Estates is a gated community thereby providing a 24-hour security for all its residents. The homes are delivered complete with painted finish and beautiful floor tiles. It is the only village that offers a linear park that is as wide as seven meters with fence and gate for added security. The linear park also provides good ventilation for the residents of the buildings. Bellefort Estates is located at San Miguel Monilo Bacoor, Bacoor Cavite, a place also known as the golden triangle of Cavite, Alabang, and Laguna. The residence is strategically located in Daang Hari; the area has access to three different main roads leading to Laguna, Cavite, and Alabang making it easier to reach important locations with little time. The beautiful homes are also designed for future expansion so to accommodate a growing family. The Estates have different choices starting from the two story townhouse to the three story townhouse configuration to provide families of different sizes. The French architecture inspired the development, and the estates offer up to four bedrooms configurations, the residence also includes various extra house features like the utility room, powder room, and the family room. The development offers a tranquil environment near different commercial and business establishments. The locations have different hospitals, schools, malls, supermarkets, resorts, hotels, chapels and even a golf course as its landmark. The Bellefort Estates is available for a price of 2.5M to 5M depending on the unit type. Camella Altea is a quality development developed by one of the most highly regarded residential developer in the Philippines, Camella. The Camella Altea provides an upgraded lifestyle with friendly amenities and modern facilities for its residents. Some of the various services and facilities available in the Camella Altea include a swimming pool, basketball court, jogging paths, playground, gardens, landscaped parks and a clubhouse. The residents of the building are safe and secure in this gated community with their high perimeter fence, a CCTV system, and roving security guards. With their 40 year experience, Camella has made sure the Camella Altea was built with elegance and expertise; the Haven is the best place to live a convenient amenities with the best facilities and amenities. For the past years, Camella has always be known for choosing strategic locations for their projects; the Camella Altea is no different. It is located at Monilo-pali Paran Rd, Monilo, Bacoor, Cavite, the middle of both business and commercial establishments and also conveniently along Monilo road. Residents are allowed the maximum accessibility with the Camella Altea being near schools, places of worships, hospitals and medical centers, leisure centers, government institutions, transport hubs, and also main access roads in Cavite(CALAX, CAVITEX, and Daang Hari). Some of the famous landmarks around the Camella Altea include Molino Doctors Hospital, Molino Wet and Dry Market Celestino Market, and St. Dominic Hospital. The Camella Altea offers a lot and house & lot at a convenient price of 3.6M to 5M depending on the unit type. The Camella Cerritos Heights is one of the properties of Camella located within the district of Bacoor. The development is located in Daang Hari, a community that is centrally located south of Manila. It is just a few minutes to different central business districts and just 30 to 45 minutes away from Ortigas and Makati. A shuttle service is also provided for residents to have better access to major destinations in the area. The development is located in Daang Hari via Alabang which gives it access to both worlds; it has the exclusivity and privacy of a master-planned and themed community and also has a proximity to the business and commercial establishments in the south. As the Camella Cerritos Heights is located in Bacoor, it is then within proximity to different major hospitals like the Molino Doctors Hospital and Southeast Asian Medical Center. It also has access to various medical institutions and universities including a campus of the Cavite State University and the University of Perpetual Help System DALTA. One of the strongest suits of the Camella Cerritos Heights is its amenities and facilities. The community will have an entrance gate and a perimeter fence to provide the utmost safety and security for all its residents. The development also has different amenities and facilities like the Basketball court, a clubhouse, various parks and playground where the families can bond with each other and have their special moments together. The price of the residence starts from 4.4M to 7.6M depending on the price of the units. The Camella Cerritos Terraces is part of a series of master-planned communities along the Daang Hari, the Camella Cerritos. The residential condo is a well-planned and exclusive community with a Mediterranean design that is perfect for different kinds of family. The development is packed with various social amenities and facilities that make it a perfect haven for all its residents. The impressive five-hectare exclusive community will is a safe home investment that will appreciate in the future. The Camella Cerritos is conveniently located in the Daang Hari which makes just a few minutes to the commercial district of Las Pinas and Alabang. It also has access to other major destinations like Muntinlupa, Laguna, and Cavite. Getting connected to work, malls, schools, and business hubs are very easy. The Village is also packed with social amenities like the swimming pool, different parks and playground, Basketball court, Clubhouse, and the convenience store. The community is also surrounded and gated to provide maximum security for all its residents. The Camella Cerritos Terraces have different house models; they are all single attached with a lot area of bout 88 square meters to 120 square meters and a floor that ranges from 52 square meters to 81 square meters. The residents are also given a unit choice of two to three bedroom houses. Some of the different home models include Elaisa, Drina, Carmela, Marvela, Carmina Downhill and Carmina Uphill. The price of the Carmella Cerritos Terraces starts from P 4.9M and can increase depending on their unit size. The Camella Cerritos trials is a 10-hectare developmental project located in Daang Hari, Cavite. It is one of the Cerritos project orchestrated by a trusted real estate developer in the Philippines, Camella. 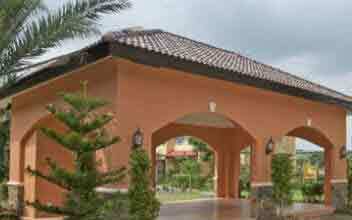 The Camella Cerritos Trails are well-developed and entail different social amenities and facilities. The community will be very secure and safe for all its residents with the construction of an entrance gate and a perimeter fence. The development is packed with different social amenities that help to bond families and build good memories. Some of the amenities in residence include a clubhouse, a basketball court, and various parks and playground where people of different ages can have fun alike. It also has a spacious swimming pool where adults can have fun, socialize, and release all the stress from work. A shuttle service is also provided for residents of the area from the subdivisions to major areas around the inhabitants. The Camella Cerritos Trails is conveniently located in Daang Hari which makes it a few minutes drive to the commercial district of Las Pinas and Alabang. The location also gives the residents access to different commercial and business establishments in the Metro which altogether provides an excellent living experience for the inhabitants. Like most of Camella projects, the development is separated into different housing units with a different floor and lot area. The general lot area of the condo ranges from 66 square meters to 110 square meters while the floor area starts from 40 square meters to 97 square meters. The price of the residence starts from P 6M varies with different housing units. The Camella Monilo is a five-hectare development by one of the most prominent real estate developer in the Philippines, Camella. The Spanish Mediterranean event is a perfect and ideal place for families to stay and settle down. The development is well built with the 40-year experience and expertise of Camella. The Camella Monilo is located in Bayan, Bacoor, Cavite. The environment is fully fenced, the entrance gate of the building is also equipped with a 24-hour security for the safety of the residents. The home is perfect for families looking for a secure haven to live at an affordable price in Bacoor. The Camella Monilo is also provided with different amenities and facilities for the residents; it includes the clubhouse for the adults and the Parks and Playground for children of all ages to have fun and socialize with their peer. There are also open spaces in the area where you get to spend quality time with your family and bond socially. The Camella Monilo also features an underground drainage system for the residence, the septic tanks, water, and electricity are provided individually for all the home in the village. Meralco also supplies the electrical system. The model homes available for this project is Marvel and Rina. It has three bedrooms, two toilets and bath, a balcony and a Carport is also provided in some. It has a lot area of 196 square meters and a floor area of 65 square meters. The price of the Camella Monilo starts from Php 4.4M to Php 4.5M. 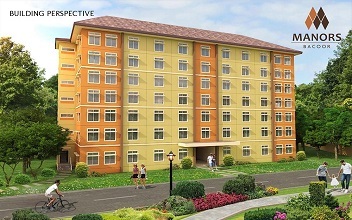 The Carson Vista City is a development by Camella located in the heart of Bacoor. Vista City is a vast community with an active lifestyle with the premises of Daang Hari. The development is adjacent to some following projects in Vista City and has a lot of natural features that make it perfect for the whole family. The development is not just a home for the clients, and it also serves as an investment that will undoubtedly yield in the future. The Carson Vistas City boasts of its amenities and facilities starting from the Italian inspired Clubhouse that also rooms different amenities like the function rooms for various kinds of occasions, the neat and tidy swimming pool, and the health and wellness center. That’s not all, stay fit with some outdoor sports and exercise with the amenities and facilities like the basketball court, the jogging trails. You also have the chance to spend some quality time with your family with the playground within the vicinity of your home. All these activities can be done in the security and privacy of your community at Carson Vista City. The Carson Vista City is located in Daang Hari Rd. Bacoor Cavite. It is a place that can be conveniently accessed through Daang Hari which gives it access to more premier locations in the south of SLEX, Makati, and Manila. The City has different house models that include Marga, Carmela, Eliza, Gavina, Rina, Mara, Drina, and Fatima. They residence of the city has a floor area of 40 SQM to 166 SQM and a lot area within 80 SQM to 143 SQM. The price starts from PHP 2.9M. The Citta Italia is a 77-hectare exclusive community that is inspired by the Italian cosmopolitan lifestyle and elegance. The community provides a high quality of life and style in the heart of Bacoor. The development was brought to life by Crown Asia and made sure it highlights a classical façade and exclusive design to captivate and show the magnificent beauty of an authentic Italian lifestyle. All the 15 phases of the Italian-inspired community are guarded and fenced to ensure the safety of all the residents. The village is filled with different amenities and facilities that are exclusive to the inhabitants of the area. They include a swimming pool, Basketball court, and landscaped playground and parks for you to spend quality time with your family. The developer of this condo, Crown Asia, values the life and properties of all their clients and have therefore provided different security measures in the village, they include a minimum of two security guards in each gate and around the clock roaming security. There is also a security outpost along the perimeter line and a well-trained personnel providing security in the village. The community is located along Buhay Na Tubig Along Monilo Road in Bacoor, Cavite. It is just 20 minutes away from SM Mall of Asia and accessible to the different mode of transportation including a shuttle service. It is close to various schools, hospitals, and mall. Some of them include University of Perpetual Help Molino, Statefields International School, St. Dominic Hospital, St. Michael Medical Center, and SM Bacoor. The residence of the village is available for PHP 5.8M and up. Danarose Residences is a four-hectare residential community located in the heart of Bacoor City. It is a community developed by VanderBuild real estate developer and inspired by the Italian architecture. The residences are quite affordable, and the community is perfect for different kinds of families in the Philippines. Danarose residences is full of various social amenities for the residents, and if that's not enough, different resorts are also available for more fun activities for all members of the family. Danarose is a residential community that is right in the middle of everything. 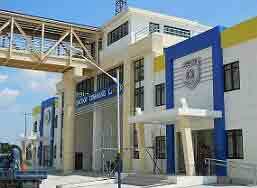 It is located at Monilo III, Bacoor, Cavite. Apart from it being located in the best spot in Bacoor Cavite which is a fast developing city in the south, it also has simultaneous constructions of different social, commercial and business establishments like schools hospitals, malls and factories making it a perfect place to balance the struggles of work and home. Some of the facility in the area includes SM Monilo, Starmall Prima, University of Perpetual Help Molino, and St Dominique College of Asia. The Monilo road is just 5 minutes away from the development which presents the residents with all sorts of transportation and connects them with Monilo Boulevard and Daang Hari road. The village is linked to the Coastal road through Monilo Boulevard making Makati accessible in less than an hour. The Daangi Hari road also gives access to Alabang and SLEX.Danarose offers a House and lot at a convenient minimum price of P 2M which may change depending on the type of unit. Lotus Grand is a property developed by Richfield Properties Inc.( a subsidiary of Masaito Development Corp. MDC), an established and trusted company engaged in real estate in the Philippines. The Lotus Grand Village is one of their first project that is strategically located within Masaito Drive townscape along New Molino Boulevard. The Lotus Grand is set to be one of the most exclusive villages in the Cavite with only just 270 home units in the vast 8 hectares suburban development. The Lotus Grand Village is located at Masaito Drive in New Monilo Boulevard, a convenient location that is serene, exclusive and modern with a mix of different natural features. The Lotus Village is a modern home design that offers a natural and productive environment in the midst of the community. The Lotus Grand Village is full of different social amenities like the amphitheater for various kinds of event, the lake, and the landscaped and Rock gardens. Other amenities in the village include a jogging path, the Picnic areas and the kid's playground that creates and an avenue for the kids to socialize and have fun. The Lotus Grand has two different communities namely Lotus Lakeside and Lotus Grand. Both of the communities offer a house and lot and lot the only package that can be acquired at a very affordable price. The price starts from PHP 3 million and can increase depending on the unit type. The size of the lot ranges from 113 square meters to 293 square meters. The lotus lakeside is one of the residential villages in the midst of the vibrant city of Bacoor. The Lotus Lakeside has its primary feature to be the lake in the middle of the community. The lotus lakeside is also one of the most exclusive residential enclaves in the Cavite with just 270 housing units spread across and eight hectares development community. This development was crafted and master planned by an independent residential developer in the Philippines, Richfield Properties Inc. Masato. The environment of the area oozes of nature, and the design was beautifully conceived as a modern Asian home. Like most of the real projects in Cavite, the Lotus Lakeside has different social amenities like the swimming pool, the basketball court and the Clubhouse with a special touch of its natural lake. The Lotus Lakeside is also provided with a manicured jogging trail and a garden. The Lotus Lakeside is located at Masaito Drive, New Monilo Boulevard, Bacoor, Cavite, a place that is known for its accessibility to major areas in the Metro. It is just 20 minutes to the SM Mall of Asia and just 15 minutes to Alabang. 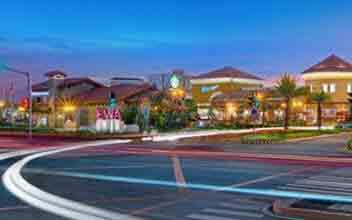 The Lotus Lakeside is in the middle of many developments like Puregold Monilo, Monilo Blvd. Road, and the ongoing construction of the Monilo Doctor's Hospital. The village offers three house models with the price ranging from Php 2 million to Php 5 million depending on the unit size. The project is one of the best choices for clients looking for a middle-income residence that is along the Monilo Blvd. Princeton Heights is a master-planned residential development with a commercial area located in the vibrant and progressive Bacoor, Cavite. The Princeton Heights name was inspired by the Princeton University in New England; this region is popularly known for their laid back suburban lifestyle and smalltown charm. Like the name implies, the development was inspired by the New England architecture that tushes up an exclusive village living. Filinvest initially developed the project in conjunction with the Niyog Property Holdings, a subsidiary of Yucheng group of Companies. Princeton Height is precisely located at New Monilo Blvd., Brgy. Mabon 4, Bacoor City, Cavite. 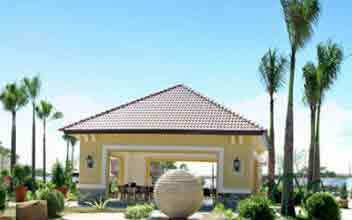 The location is highly accessible from the Daang Hari and Coastal Road. It’s most famous landmark is the St Dominic Hospital and the SM Monilo Mall. Like most of Filinvest projects, the Princeton Heights has a lot of features and amenities for the comfort and fun of the residents. It has a multipurpose room for different occasions and a Clubhouse to have fun with peers. It has different exercise amenities like the Gym, Jogging Trails, Basketball Court, Playing fields and so on. Various facilities for relaxation are also available in the residences they include the Swimming Pool, Ponds, Clubhouse, and pocket parks. The village is surrounded with a landscaped entrance gate; there is also a 24-hour security system for the safety of the residents. The development has different house models with different rooms, floor areas, and lot areas thereby leading to the difference in price. The price of the residence ranges from Php 1.3 million to Php 6.4 million depending on the unit size. 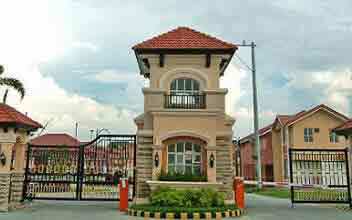 Sienna Villas Bacoor is one of Camella residential developments located in Bacoor. 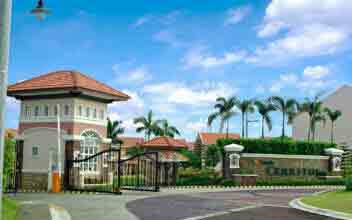 The Sienna Villas is a gated four-hectare enclave with 350 townhouse units. The development is located right in the middle of the vibrant Bacoor in Cavite, it is a perfect address for single families looking for a strategic place to settle down, work, and enjoy their life with their families and young ones. The Sienna Villa construction is inspired by the Italian architecture, in simple words, the Sierra Villas is just a cluster of two-story townhouses exclusively built. The area of the residence is already commercialized and developed, the subdivisions of the homes are gated with guards. The Sienna Villas is located Brgy. Salina, Bacoor, Cavite. The location is conveniently accessible through South Expressway, Daang Hari, and Coastal Road. In Sienna Villas, everything is within your reach with different schools banks, hospitals, place of worships and other commercial and business establishments are just within your grasp. Notable establishments like SM Bacoor, Makro, and Robinson’s place are just a few minutes away from the location. The development is also equipped with social amenities like the Clubhouse, the basketball court, and a commercial area. The swimming pool is also available for the adults to relax and socialize while the Parks and playground are provided so that the children can have fun and socialize with peers. The Sienna Villa offers a House and lot with price ranging from Php 4.4M to Php 7.6M. The price range per square meters is about Php 85,799 to Php 118,404. Summer Pine is a luxurious and modern residential village orchestrated by the Bikenn Corporation. The residences are very comfortable, affordable and luxurious and also perfect for a family that wants comfort and luxury at a reasonable price. Summer Pine is one of the most finished projects of the Bikernn Corporation with the best stylish architecture that is designed for both comfort and durability. The Bikernn Corporation is a fast growing real estate developer in the Philippines, and it offers the best high-quality materials and latest architectural advancement to provide every family with satisfaction and comfort. The Summer Pine is located in 7375 Bonifacio St. , Brgy. San Jose 2, Noveleta, in Cavite. The location is very accessible with it having major roads like Magdiwang Highway and Manila-Cavite Road around it. The main cities like Paranaque, Makati, and Las Pinas and some other towns and cities of Cavite surround the location making a very prominent place. There are many unit types available in the Summer pine. Each unit has different sizes and price. The smallest unit in the development is Torrey townhouse with an area od 50 square meters to 62 square meters with a final price of Php 1.8M. The limber Townhouse is available for Php 2.3M, the Laceback Single Attached is also available for Php 2.4M while the Canary Single Attached has a final price of Php 2.7M. The Bristlecone Single attached unit type is the biggest in the development, and it has an area of 80 square meters to 88 square meters and a final price of Php 2.96M. 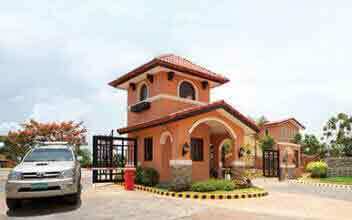 The Greenlane Villa is a quality Homemark Village located in San Nicholas 2, Bacoor in Cavite. It is a perfect place for starter families to begin their life and start a family. The development was created by a real estate developer that has dominated in developing social residences for the past 20 years. The event is very cost friendly when compared to other residents in the area. Bacoor is a strategic location that serves as the gateway of the Metro Manila. The suburban area is just 15 kilometers southwest of Manila; it is also bordered in the east by Las Pinas and Muntinlupa. 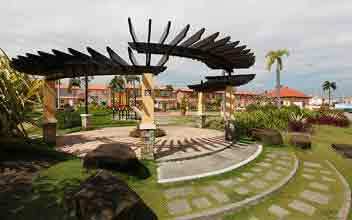 It is a very vibrant recreation and tourist area within reach of Metro Manila residents. It has numerous shopping malls and a taste of history and culture of the Filipino. It is a very lively place with everything you need right where you want them. Bacoor is a perfect place for an individual that works in the Metro Manila and also people that moved to Bacoor just to find economic advancement. The Greenlane villa has different social amenities to increase the living experience of its residents. A multi-purpose hall is available for various functions and parties and a basketball court for outdoor sports. There are a Centralised water system and an underground drainage system in the residences. Meralco also provides the Electric facilities in the buildings.The Greenlane villa offers a townhouse with a minimum price of PHP 9 million. The floor area of the resident is 45 square meters while the lot area ranges from 46 square meters to 75 square meters. 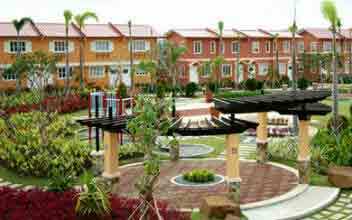 Villas De Bacoor is an affordable residential townhouse located in the City of Bacoor. The RCD Land developed the residential town hall, and it boasts as one of the most affordable residences in the fast growing urban area in Cavite. It is one of the most convenient locations for people working in the Metro Manila and some other parts of the site. The community gives residents the pleasure comfort, convenience, and security. It allows its residents the comfort of being away from the hustle and bustle of the city and also enjoys the conveniences of the city. Since the urban community is rapidly growing, more job opportunities will be opening up for the residents in the area. The Villas De Bacoor is located in Brgy. Dulong Bayan, in Bacoor. The location is just 30 minutes to the Metro Manila, and it is near different business and commercial establishments like school, Churches, Hospitals, and Shopping Centers like SM Bacoor and SM Monilo. The village is also connected to the Quirino Avenue and CAVITEX in the north, Muntinlupa and Daang Hari in the south, and the Marcos Alvarez Avenue in the east. The development has different essential and necessary amenities for the comfort and convenience of the residents, and it includes an entrance gate and a guard house the provides safety for all the inhabitants of the building. Other amenities include the Multi-purpose Hall, Parks and Play place, a basketball Court, and Meralco electrical equipment. The Villas de Bacoor offers a house and lot at an affordable price of Php 1M and up. 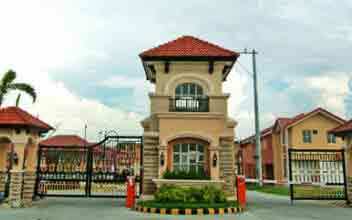 The Vitta Toscana is a CrownAsia residential developer project in the midst of Bacoor, Cavite. The development is an Italian inspired home with various luxurious amenities and an entrance gate to protect residents of the village. The Vita Toscana has a relaxed and serene lifestyle that is away from the hustle and bustle of the city. Vita Toscana gives the residents a chance to spend time with their family in a plethora of amenities which makes the experience even more unique. Some of the amenities in residence include the swimming pool, basketball courts, and a playground. Vita Toscana is located along Monilo Boulevard, Bacoor, Cavite. The area is very accessible and just a few minutes to the Mall of Asia. It has different public transportations like the Multicab, Jeepney, and GTExpress & UV Vans available throughout the day. A shuttle service is also accessible in the village as a means of transportation. Some of the nearby establishments in the area include University of Perpetual Help Molino, Molino Doctors Hospital, and SM Molino. Crown Asia always prioritizes the safety of its residents and have therefore provided some measures to ensure the safety of their inhabitants. Some of these actions include a minimum of two security per gate in residence, around the clock, roaming security, and a security outpost along perimeter line. There is also well-trained security personnel in guarding the surroundings of the development. The Vita Toscana offers a house and lot that is available for the price of Php 7.1M which can increase depending on the type of unit requested.